Baked Greek Chicken is so flavorful and so easy. It is one of my very favorites. I love that it all comes together to bake in one dish. I use chicken thighs to retain their moisture and flavor and top them with fresh spinach, tomatoes, artichoke hearts and olives. All the quintessential Greek flavors we know and love. I prefer to serve this over rice but you can serve it over potatoes, quinoa, cous cous or even orzo would be delicious. It’s a complete meal baking in that pan in the oven and the smell will make you wish you could dig in before it’s done baking. I prefer to bake mine in a 9 x 13 glass pyrex dish. I think the extra room in the larger dish makes everything cook more evenly. You can use a smaller baking dish if you prefer. If you haven’t picked up Cavender’s Greek Seasoning before, you will love it! Absolutely love it. It’s so delicious and makes a great addition to grilled chicken and lots of other awesome dishes. 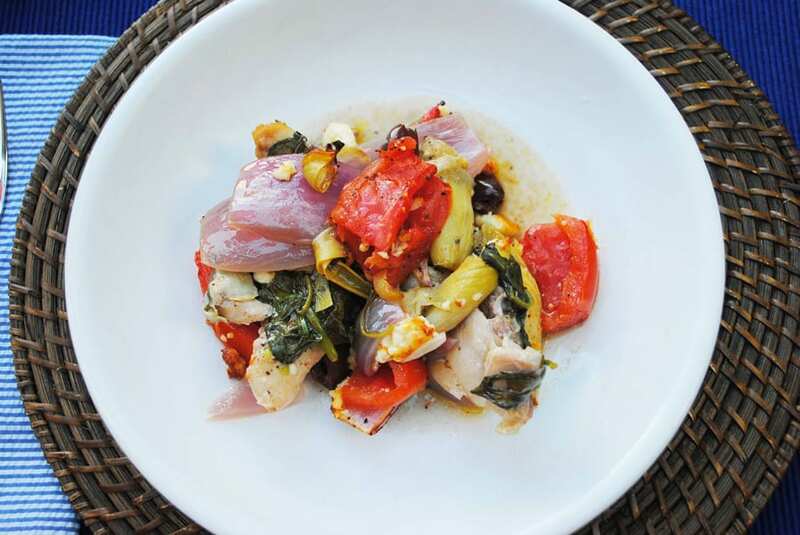 Olives, tomatoes, onions, artichokes and chicken all combine to create an easy and flavorful weeknight dish. Spread the chicken out in the bottom of a 9" x 13" baking dish. Drizzle with 1 tbsp of the olive oil, and sprinkle with salt and pepper. Spread the spinach over the top of the chicken. 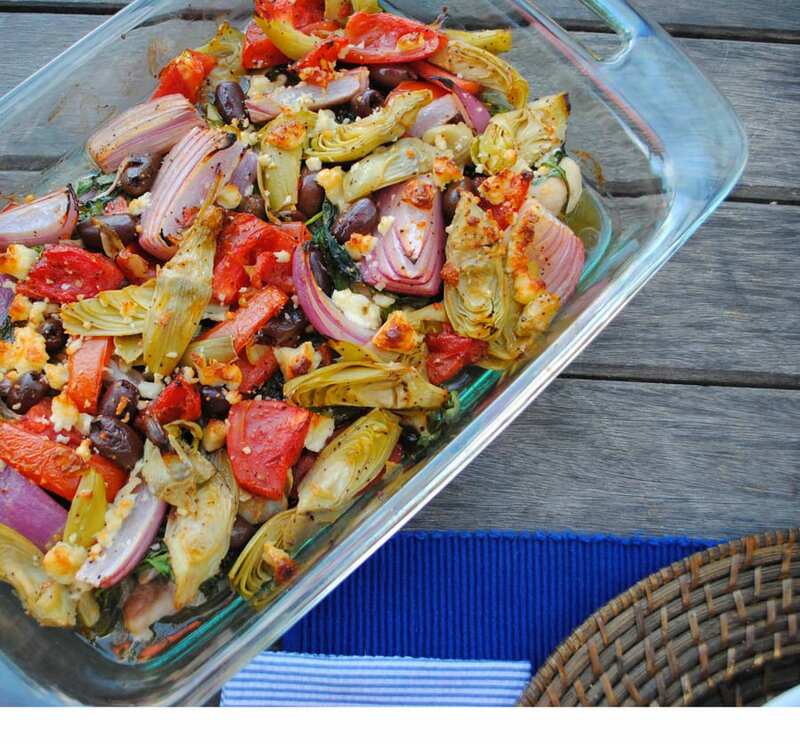 In a bowl combine the artichoke hearts, tomatoes, onion, Kalamata olives, Greek seasoning, and 2 tbsp olive oil. Stir gently until mixed well. Spread the contents of the bowl including all the juices left in the bowl on the top of the spinach. Sprinkle with the crumbled feta cheese.